Being a DJ can mean a lot of different things to different people – for some, he’s the guy in the box at the local pub playing classic chart hits; for others it’s the world’s greatest hamster scratch champion mixing up a storm on multiple decks. 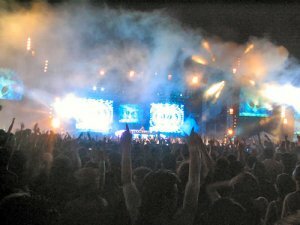 If you want to become a DJ, you have a huge range of options in front of you, so you’ll have to start making decisions pretty quickly – do you just want to play some of your favourite tunes at a friend’s birthday party, or do you want to become the greatest vinyl pusher the world has ever known? Should I Be A Vinyl DJ or Digital DJ? Nowadays, it’s easier than ever to start down the path of the professional DJ; the latest electronic equipment means that you can be a DJ without lugging around those bulky LP records. 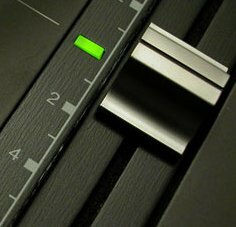 For example, Native Instruments Final Scratch allows you to DJ mp3s as if they were on record by using their special ‘digital decks’ hardware (more about this later). You can also DJ using compact discs; this is in fact an extremely popular alternative to using vinyl and most venues will have CD mixing hardware in-house, so you won’t need to bring your own gear. If you just want to dip your toe in the waters, then the very easiest way to get started (presuming you already own a laptop) is with a software package such as Traktor DJ. Just install the program, open up some of your mp3s and start mixing… we’ll cover this in more detail later on. If you’re determined to go down the traditional path of using your own mixer and decks, then the first thing you need to do is decide is what equipment to buy. You’ll need to get yourself some basic DJ gear such as a set of DJ decks and a mixer, as well as a hefty collection of vinyl. Quick tip: get the best decks you can possibly afford, and make sure they’re direct drive.